The CaminoWays.com team would like to congratulate María and Suso, from the superb A Parada das Bestas. A Parada das Bestas ‘casa rural’, in Palas de Rei, along the French Way Camino de Santiago route, has this week received a prestigious food award in Spain: Premio Alimentos de España a la Restauración 2013, awarded by the Spanish Department of Agriculture, Food and Environment. The accolade rewards the work done by A Parada das Bestas promoting organic produce, as well as preserving and contributing to the rich local gastronomic culture. Located in a tranquil and idyllic country setting, this exquisitely restored XVIII century farmhouse is a very special ‘casa rural’, where dishes are prepared using organic produce and the finest regional and seasonal ingredients, following classic Galician recipes and adding a modern twist. 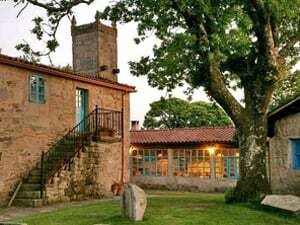 *If you would like to stay at A Parada das Bestas during your Camino de Santiago trip and experience their excellent hospitality and award-winning food, check out the CaminoWays.com Country Cottages and Superior Collection.